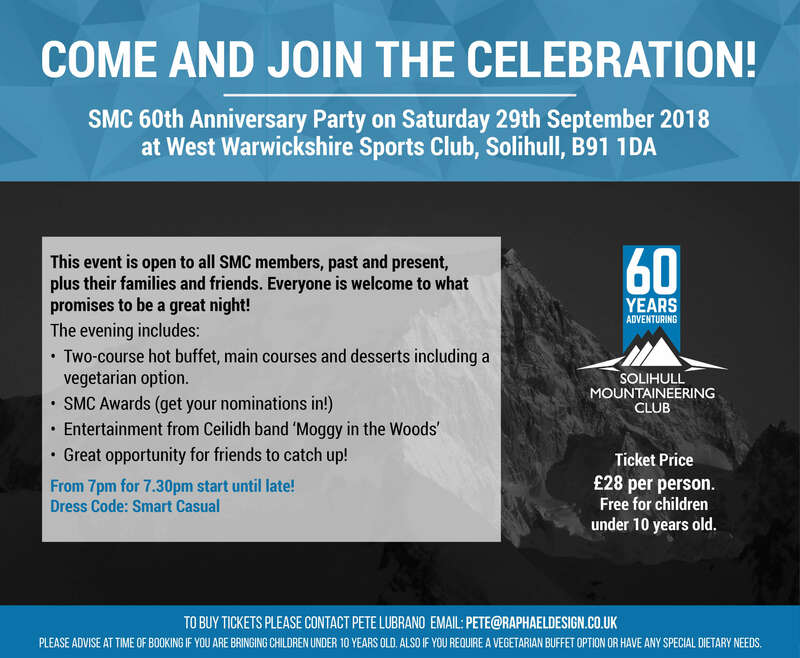 We are delighted to announce that tickets are now on sale for the SMC 60th Anniversary Party on Saturday 29th September 2018 at West Warwickshire Sports Club, Solihull. Tickets will cost £28 per person. It is free for children under 10 years old. *Please advise at the time of booking if you require a vegetarian buffet option, have any special dietry requirements or if you are are bringing children under 10 years old. The event is open to all SMC members and their families, both past and present. We hope you will all want to come along and enjoy a great night of entertainment and friends getting together. For Venue Details, click here.